2. How Does Mortgage Bond Trading Affect Rates? The Government National Mortgage Association, also known as Ginnie Mae or GNMA, is a federally owned corporation. Ginnie Mae insures investment pools that contain mortgage-backed securities to ensure investors receive interest payments in the event that borrowers default on the underlying mortgages. Ginnie Mae funds appeal to investors seeking income because they are fully federally backed, but it is important to keep in mind that they can also be very complex. Ginnie Mae funds are government-backed mortgage securities. They have the advantage of being considered low-risk investments, but a downside is that investors have to contend with the risk of inflation. Critics of mortgage-backed securities argue that investors have little idea what kinds of loans these sometimes complex securities contain. In contrast, Ginnie Mae funds are easy to understand because each investment pool contains only one type of loan. Ginnie Mae insures funds that contain mortgages that are federally insured by entities such as the Federal Housing Administration. These loans are sorted by interest rates and property type so that all of the loans in each investment pool are essentially the same. While this means investors know precisely what they are getting, it also means Ginnie Mae funds lack diversity. Investors with more diversified portfolios will fare better when low interest rates on mortgages result in low yields for investors in Ginnie Mae funds. Ginnie Mae funds are the only mortgage-backed securities that are insured by the federal government. Consequently, these securities are viewed as low-risk investments when compared with other bond funds. For this reason, Ginnie Mae funds appeal to investors who are concerned with principal preservation. However, in the investment arena, yields are always connected to risk. Low risk levels mean low returns and that people investing in the funds have to contend with inflation risk. This involves inflation outpacing investment returns, with the result that investors lose spending power. Investors with shares in Ginnie Mae bond funds do not have to worry about late payments or mortgage defaults reducing their dividend checks because Ginnie Mae honors these payments when the actual mortgage borrowers fall behind on their payments. However, the actual value of shares in the fund rises and falls over time based upon factors including the value of the underlying loans. Investors are guaranteed to receive steady income payments, but there are no guarantees they will get their principal back if they sell a bond to another investor before it matures. Ginnie Mae helps to keep the nation's housing market moving by offering guarantees on securitized loans. 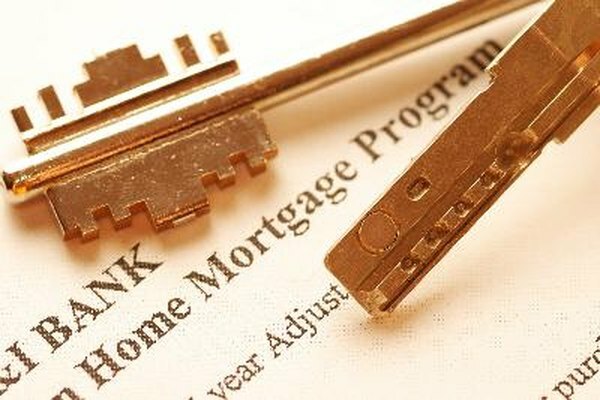 The cash inflow from investments in these funds helps to create new lending opportunities, and this means there are always new mortgages coming into the investment market that Ginnie Mae can use to create new funds. However, interest rates on loans vary over time, and when rates are rising shares in existing funds will fall as investors flock to newly issued bond funds with higher yields. When interest rates are falling, investors start refinancing their existing loans. When this happens, the yields paid on Ginnie Mae funds drop because old higher-rate loans are replaced with newer, low-rate loans.